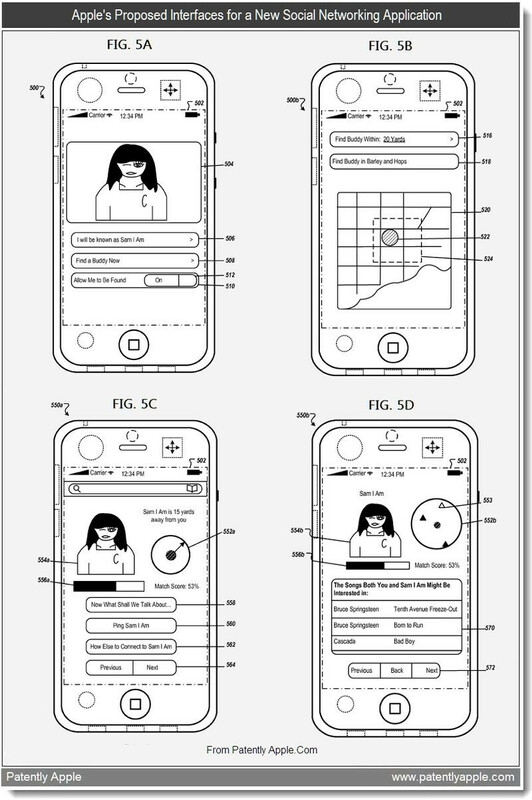 Apple files hosts of patents for different technologies and only a few of them land on final products, but this particular take on a new social networking app leveraging the location and content on your iDevice could really take off in no time. It doesn't require the effort of setting up profile pages – it just uses data stored on your phone like the songs you've purchased, pictures you've taken and the places you've been to so it can find other users with similar interests and experiences. But it's not limited to only this type of data and that's what's the most exciting thing about the idea as our phones have come to store a large part of our daily lives. Security is well taken care of as both users are prompted to agree being discovered in the new social-networking application, while at the same time they'd be able to choose exactly what content will be visible for others. Thus, two strangers can talk to each other without having to explicitly list their interests, but rather rely on data already present on their devices. A trip to Paris for example might add the trajectory along with keywords like Europe and France. A shared contact or a common friend in a photo also sound like good reasons for starting a match. Adding the current location to the mix makes the process all the more spontaneous as you can discover new people at say a concert. 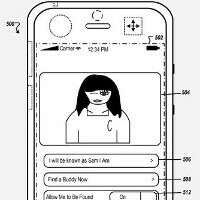 Finally, the whole idea sounds strikingly similar but even richer than well-sponsored recent start-up Color, which uses pictures of nearby users of the app for social interaction. Check out the conceptual user interface on the right and let us know what you think about the prospect of such an app in the comments below!